The Updates List is organized into sections showing the most recent on top followed by previous updates broken into sections. If you like what you see, have any comments, see any errors please contact us. Click the section header to expand or collapse it. Forecast page with 1 week forecast and windsock analysis. Page includes color coded bar graph for wind & gust graph. Windsock analysis provides daily analysis of wind using windsock rating system. Page also includes Graph of forecast temperature / wind chill and wind direction. Get a daily email with the forecast and windsock analysis. Sign-up for windsock and forecast alerts and don't miss another session. Live wind page shows color coded wind flow map from Wind Alert (WeatherFlow). Also a wind statistics widget is shown. The new camera application developed in early 2018 is now integrated with the weather center. The camera moves to sunrise and sunset positions automatically everyday and takes snapshots. The Weather Center is written in PHP and use a MySql database on an apache web server. The PHP database driver was upgraded from MySql (deprecated) to MySqli to support the next version of PHP. This change has nothing visible it is behind the pages in the data management. The current conditions page now displays the Latest Photo from Wind Power. The photo will be shown on the day's History page too. A default image is shown for days before this feature was implemented (~ Jan 3, 2012). The Weather Center can send out e-mail alerts as Windsock Alerts. The Windsock rating is based on wind speed and is used extensively in the Weather Center. One can specify the Windsock Level, alert time and logic to inform you of conditions at Wind Power. A new page showing a summary of Windsock Sessions is now available. This page has year & season (water or winter) filters so you can view subsets of the data. 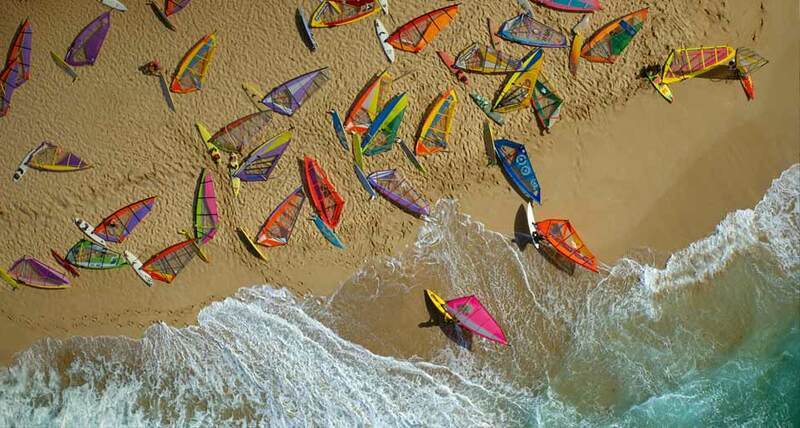 The Sessions are grouped by Windsock rating and total sailable hours are also indicated. The Current Conditions page shows the current season and day information in the observations data. The day information includes day of year, week of year, and length of day and night. Similarly, the History pages also indicate season and day information for day of interest. The day information is not shown for multiple day (last 2-day and last 7-day) history pages. A new page showing the current (today) 1-minute raw observations along with the 15-minute interval summary data is now available. The link is located just above the tabular data on the Current Conditions page or click here. This page was also a debug page used frequently since the Weather Center began, but now it is public to those interested. Tip: hit the end key and page-up a few times to quickly navigate to the last 1-minute observation as that table can be a long scroll wheelie. A top-bar element showing current weather, the next event countdown timer, a list of shop product specials, the latest YouTube videos, and the latest Wind Power news. The top-bar can be pinned on the page (default) or un-pinned to scroll with the page. The windsock rating calculation was adjusted to add session durations if another windsock session happens. This way the total time at a given windsock rating will represent the whole day, not just the longest session. The y-axis range on the Wind & Gust graph (top graph) was adjusted down to 40 mph from 50 mph. The y-axis range will increase to accommodate observed values if wind values get close to the top portion of the graph. The Temperature & Wind Chill graph will shade (light blue) the area below the Freezing Line at 32 °F (0 °C) if within the temperature range (y-axis) of the graph. The Wind & Gust Direction graph was shifted to put the prevailing (most common) direction in the center. A compass legend was added below the wind compass that illustrates the inner-dial elements meaning. The inner-dial elements are only drawn in the advanced view (not simple) available on the current conditions page. The mathematical calculation for average wind direction values (degrees) was improved. The previous calculation could produce an incorrect average under certain infrequent conditions. The new algorithm for wind direction average is 100% accurate and reliable. In comparing the two (2) calculation methods with Live weather data, errors in the previous calculation were less than 0.5%. FYI: In the derivation of the new logic, weighting of the direction value based on wind speed was considered. In analyzing the new Logic with and without speed-weight direction values to calculate the average direction, weighting the values adds no benefit and the directional average is strictly a time-average of the direction. The windsock rating now includes the average wind speed and direction for the top windsock of the day. Presently, the windsock duration is the single longest session for that rating, but testing is in progress to combine durations if two (2) windsock sessions occur during sailable hours (sunrise to sunset). The Weather Calendar & Best Recent Windsock Days (date picker at top of page) also show the wind speed and direction for the windsock rating. An expandable 4-day forecast provided by Wind Alert for Fond du Lac, WI (Wind Power) is on the current conditions page. The wind compass now shows some addition values on the inner-dial of the compass. The gray shaded area is the range of wind from the Summary (the last 30 minutes). The blue tick mark is the average wind direction and the red tick is the gust direction. If you expand the Summary Details, you can see the calculated values. Also, as weather data (observations) are updated on the page, the realtime (instantaneous) wind traces a green arc and the 1-minute average wind traces a cyan arc on the compass dial. Added to the top row of the Current Observations table, the current sensor time is shown (also know as the local time). The time is not static and will update as long as the page refresh countdown is active. The sunrise and sunset time are also indicated and the icon will change to green during that portion of the day. The bottom row of the Current Observations table was updated to provide a simpler indicator of system status. If data (observations) are being received, the status is normal. If observations are over 15 minutes old, a warning is displayed. If observations are over 1 hour old, an error is displayed. A small improvement to the temperature and wind chill graph displays a diamond marker along the high & low temperature and the low wind chill at the time the high or low was reached. 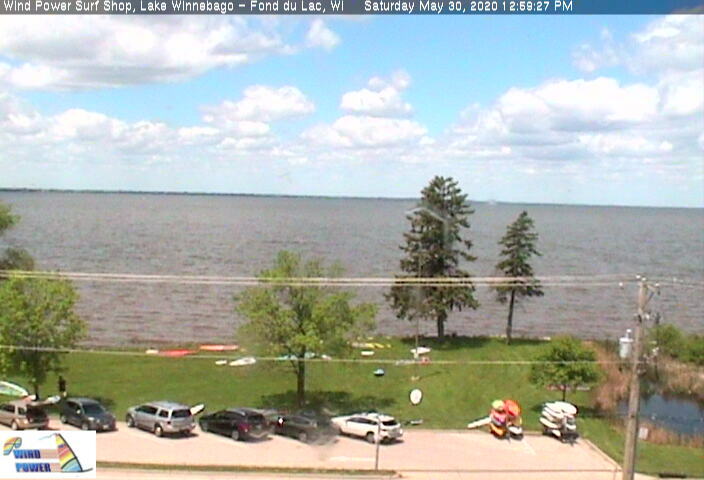 A link to Windfinder.com for Fond du Lac, WI was added to the forecast page. The navigation links in the side bar were improved by adding some styling to get rid of the ugly bullets. The Temperature & Rose Graph update times changed, but they both still update very 30 minutes. The temperature graph update at :17 and :47 minutes. The rose graph updates at :18 and :48 minutes. The windsock rating is evaluated at the end of each day. The windsock level (0 through 4) must be maintained for a minimum of 60 minutes to qualify. At the top of Current Conditions and History pages, a expandable date picker and list of the 6 best recent windsock days was added. A calendar icon with a down arrow is shown, just click it. To qualify for best recent days, the windsock level must be at least 2. The weather calendar page displays a full Month along with each day's windsock rating. The Windsock rating table with corresponding wind speed values is also displayed on this page. On the Highs & Lows page, a table showing the count of days in the current year for each windsock level (0 thru 4). The Launch Assessments were revised and Launch Tips were added to provide information relevant to sailors of all levels, not just focusing on advanced sailors for higher wind and waves. The tips are being refined. The wind and direction graphs update times vary throughout the day and based on current windsock level. At night (between 8pm and 8am), all graphs update every 30 minutes. During the day (8am to 8pm), the direction graph updates every 15 minutes. The wind graph updates every 15 minutes until windsock level 2 is reached, then the wind graph will update every 5 minutes. For year-round functionality, the Weather Center knows the current season. For spring, summer & fall soft-water sailing and winter-time ice sailing, the recommended launches are handled differently. During the water season, launches are based solely on wind direction and speed. However, during ice season, ice conditions typically prevail and wind direction and speed are not as much of a factor, so Wind Power will adjust the recommended launches as needed throughout the season. The 'season' switch is a manual toggle within the Weather Center system and is controlled by Wind Power Surf Shop. During the winter season, the graphical icon in the title banner on the page will be a snowflake. During the water season, this icon rotates through the sports preference icons or reflects your selected sport preference. When viewing the Current Conditions page, a thin green border wraps the page content to emphasize that you are view Current Conditions. The Weather History pages display a thin red border wrapping the page content. In the lower right corner of the page, a fixed up arrow provides a mechanism to scroll the page to the top. Just click the arrow and it will ease you back to the top of the page gracefully. A page showing the video and static images taken during the anemometer replaced on Aug. 1st, 2011. The camera took a ride up the sailboat mast to give a perspective view from the anemometer sensor. 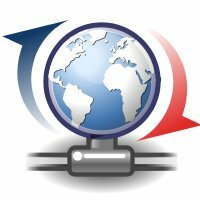 The Weather Center needs support to maintain quality weather data and web site. You can see Sponsor Information and the current donation list. To make a donation, a link to the Wind Power online Shop is available. You can create and submit a background image for the Weather Center. If your background meets the requirements, it can be added to the set of images and the Weather Center randomly changes the backgrounds. Backgrounds displayed are dependent on sport preference and water / winter season for Weather Center. The Info pages (Weather Center Info, Sensor Info, etc.) were improved by breaking out the Graph Info to a separate page and SensorCam page added. Numerous code and caching optimizations were implemented to improve performance and database efficiency. The experimental Header & Lift Analysis in the conditions summary details was removed. Although it was an interesting analysis, it did not prove very practical. The advanced use page which defined some custom queries and raw data access URLs was removed. This feature was highly specialized and not used by many. A simple custom query page may resurface giving ability to view Today's data only at smaller time frame and interval to view data at a 'higher resolution'. Otherwise, download the raw data and and use any number of software programs, like Excel, to query/analyze/graph data. Review and refresh all the textual content in Weather Center to adjust for changes to system and improve information presentation and correctness. The Weather Center start date was set to July 26, 2011 due to the invalid temperature readings. Also, a series of graphing and caching improvements were made to the Weather Center. Data prior to the start date is not available. The temperature sensor was relocated due to inconsistent readings (reading high). A couple different probe locations were tried, but a good location for the temperature sensor was finally found. The Weather Center was moved to it’s own domain on a new server. The 12 hour graphs have been enabled. And some other refinements were made. Ironically, the server is named MAUI (what were the odds of that?) and the day of the move, bing.com had this image as their page background. In order to provide up-to-the-minute (and up-to-the-second when windy), the Weather Center now has some additional resources available. Over the next week, some further refinements will be tested to improve performance and decrease server load. The desktop gadget will remain un-available for now. Added N, S, E, W Letters to compass (HTML5 canvas) that hide when pointer is near. The Compass sound was updated to a 'reel-click' and clicks during compass pointer movement. If there is no or very small movement, there is only a single click. A page refresh 'chime' plays 5 seconds before the page auto refreshes to notify you. A 'guitar chord' noise plays 5 seconds before page requires a manual refresh to notify you that a refresh is needed to update the weather data. This is experimental, but the Gust and Wind Directions are analyzed to provide insight as to Headers & Lifts. Analysis is not performed if wind is Light. Sport preference controls background image for Weather Center web page. If 'all' sport preference is selected, background will be randomly selected. The Weather Center was installed in late May and ran in a testing mode for a few weeks before going live on June 20, 2011. This is a list of known issues with the Weather Center system. The list is broken into Open & Closed Issues. Hopefully, both lists are small and open issues are resolved quickly. The Weather Center launched on 2011-07-26. If you find any issue or have any suggestion on resolving an open issue, your input is appreciated. You can send a note here.